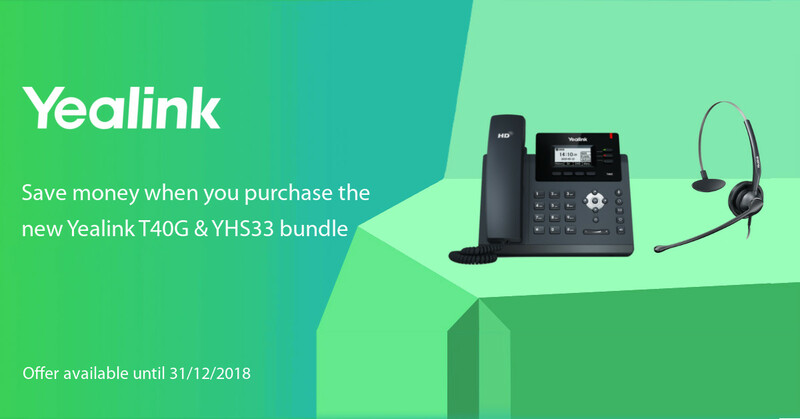 From now until the end of December 2018, ProVu resellers can make some great savings on Yealink’s latest bundle offer! 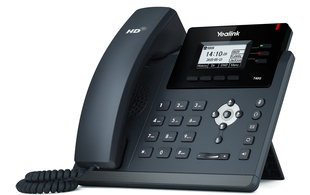 Simply purchase the T40G IP desk phone with a YHS33 wired headsets to save a minimum of 10%! 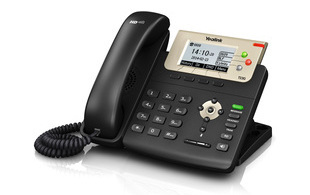 The popular T40G offers a feature-rich SIP desk phone with a host of advanced capabilities including support for 3 SIP accounts and 2 Gigabit Ethernet ports for high-speed connectivity. 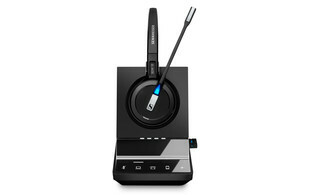 Paired with the YHS33 monaural headset, this is the ideal solution for office and SOHO workers. This offer is not subject to any quantity limitations, making it even easier for resellers to promote to the end user! To take advantage of this great money-saving offer, simply use the following product code when placing your orders: T40G-YHS33. You’re invited to our upcoming webinar, ‘The Benefits of Reselling Sennheiser’. On Monday 30th April, our Technical Pre-Sales Engineer, Matthew Heaney will be joined by Imre Csuri from Sennheiser to give us an overview of the various benefits that come with being a Sennheiser reseller. Having been reported in the media for some time now, there has been a major increase in the attachment rates of headsets, this is your opportunity to hear how you can address the current trends and challenges your customers may be facing. Whether you’re already familiar with Sennheiser’s range of headsets or simply looking to learn more about the unrivalled offering, Channel protection and cross-selling opportunities they offer, this webinar is ideal for anyone looking to hear more about Sennheiser’s offering to the Channel – we hope you can join us! Why choose the Sennheiser MB 660? Having been selected as part of Sennheiser’s Selective Distribution System last year, we’ve been testing some of the headsets functionalities. As a self-confessed headset enthusiast, I couldn’t wait to get my hands on the MB 660 UC Premium headset! What is the MB 660? This is a binaural headset that has pillow-soft leather ear cushions. 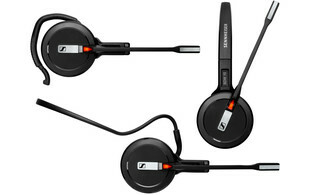 As a high-end headset, it features Sennheiser advanced technology. I was tasked with testing this headset and decided to specifically look at the NoiseGard feature and I can say that it is great! This feature constantly monitors background noise which seamlessly adjusts the level of noise reduction in the headset. There is a switch on the headset that allows you to toggle the NoiseGard level – There’s a major difference between the NoiseGard being disabled and enabled. This feature blocks out a lot of background noise, allowing you to concentrate on your work. Another feature I tested on the MB 660 was TalkThrough, this is another feature that allows you to listen to your colleagues without having to take your headset off. TalkThrough is easy to use all you have to do is double tap the outside of the right ear cup and it is enabled – You can then talk to your colleagues and be able to hear them clearly. As soon as you are done, you can then double-tap the ear cup again to turn TalkThrough off. I think that this is a fantastic quality headset. This headset is very comfortable to wear, great for calls and has amazing sound quality! The MB 660 is not only suitable for use in the office but is also good for listening to music whilst at home or out and about. It’s a situation we all hope will never occur, but on occasion, we know faulty goods arise and have to be returned. With Sennheiser‘s best-in-class warranty, returns couldn’t be simpler – thanks to their no quibble guarantee items are replaced with brand new products within 24 hours (subject to availability). Why do Sennheiser offer a best-in-class returns policy? Supplied with a 2-year warranty as standard (3 years with the Century headset range), Sennheiser is so convinced of the quality and durability of their products they offer a best-in-class warranty. With a return rate of less than 1% they have good reason to be confident in the quality of their products! Sennheiser realise that you have better things to do with your time so we work with them to make the procedure as easy as possible for you. Discover more about the Sennheiser Range! The New Snom A100 Headset Range has arrived! We’re delighted to introduce you to Snom’s new range of headsets which are now in stock and available to purchase from ProVu. Designed to provide users with maximum comfort and performance, the new A100 headsets are available as either monaural or binaural and can be used with the entire range of Snom desk phones along with a variety of other devices. Please Note: We have a very limited supply of the MM2 headsets available, once they’re gone, they’re gone! The A100 will replace the MM2 headsets. We are delighted to announce that we are now part of Sennheiser’s Selective Distribution System! As leading audio specialists, Sennheiser is renowned for their superb audio quality, check out their range of Office & Contact Centre Headsets and Speakerphones, now available to purchase from ProVu.